At Rang Mohe we are set to present you beautifully designed clothes which are made exclusively for you. All clothes at Rang Mohe are handmade by a small but passionate team at our Bangalore studio. 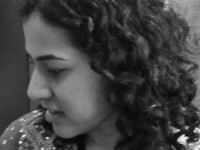 Hi, I am Harshada, a designpreneur who is passionate about everything "design". After decades of experience in user experience design, I am exploring the world of textures and silhouettes. I hope you like our designs. We do not accept returns as every dress is customized for you. Returns are acceptable in case of damage or wrong orders. If you are not happy with the fitting, we will make alterations for you. We closely inspect every garment that leaves our studio. If you feel your dress is damaged, you must let us know within 5 working days of receipt. A full account credit will be applicable for damaged products. Items cannot be returned on grounds of colour, choice or handwork. Please do not accept a shipment that shows signs of damage in transit, you can decline to accept such an order and update us on the same. Please email us a picture of the same within 24 hours to initiate a refund/replacement on the same.